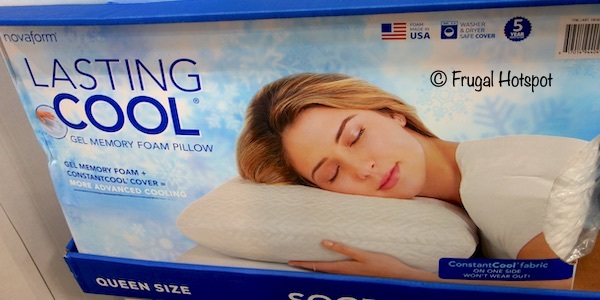 According to the manufacturer, this pillow doesn’t get flat, so you have continuous support. 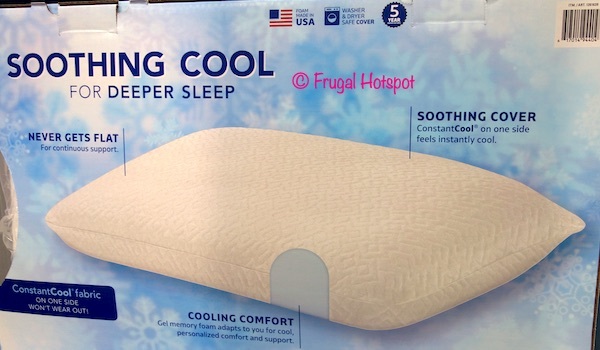 The gel memory foam adapts to you, so you get cool, personalized comfort. And the ConstantCool fabric cover is washer and dryer safe. 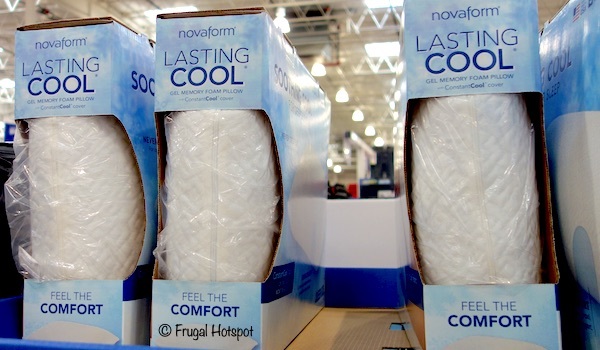 Select Costco locations have the Novaform Lasting Cool Gel Memory Foam Pillow on sale for $23.99 (after instant savings), now through April 21, 2019. That is $6 off Costco’s regular price of $29.99. While supplies last. Item #1261639. 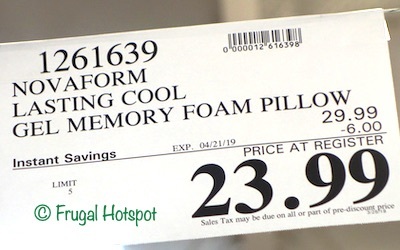 Novaform states this pillow is for side, back, and stomach sleepers.